The Province of Samar is prominent because of the longest San Juanico Bridge. A few years ago, it also captured the attention of the world because of the devastation brought by Typhoon Yolanda. But, did you know that Samar also hides something in their mountainous and forested areas? These are breathtaking and definitely a splendor of nature’s beauty that needs to be discovered. Historical landmarks, waterfalls, and caves are just a few of the must visit tourist spots and destinations in Samar island. The Province of Samar is an hour and ten minutes from Manila, via plane. I arrived at Tacloban Airport passed 8 AM. Since I have no idea on about the means of transportation and routes, I asked one of the guards at the airport. In fairness, they were accommodating. As instructed, by the street in front of the airport, I rode in a jeepney to “Downtown” and alighted at Mc Donalds. Travel Time: around 20 to 30 minutes and had my breakfast. After breakfst, I checked DupTour’s schedule at their terminal but no available schedule to Catbalogan City (capital of Samar). So, I rode in a trike to Grand Tours Terminal. Please check the summary of my itinerary and expenses below (in order). What made my backpacking in Samar and Leyte provinces exciting? It was the Typhoon Samuel that hit the region during my Day 1. I was okay because I was using the Project NOAH mobile app. By using the application, I was able to monitor the weather with an actual photo taken by Himawari IR satellite. As expected, upon arrival at Catbalogan City, I was welcomed by rain showers and the stratus clouds from above. Aside from weather, by using the Project NOAH App, I was also able to locate GV Hotel and the Must Visit Destinations in Catbalogan City. The Obelisk at Imelda Park, located in front of the Samar Capitol building. 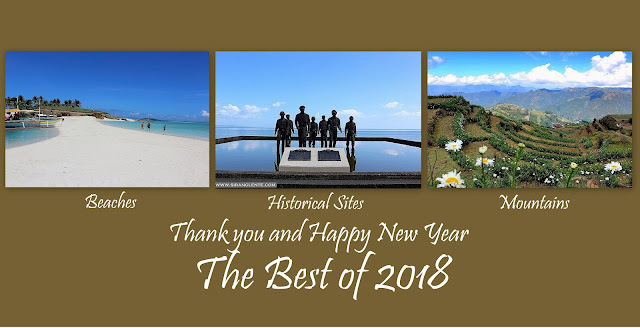 On the sides, it depicts the four major events in the province, such as the Balangiga Encounter during the Philippine American war (1899-1902). On the other side, the 1649 Sumuroy Rebellion led by Juan Sumuroy against the Spaniards. The other is about the arrival of the first Jesuit missionaries in Samar on 15 October, 1596 and the last side is the declaration of Samar as an independent province by Queen Isabella II of Spain on 11 August, 1841. The unique Jose Rizal Monument in World. The original structure of St. Bartholomew Church was built in 1616, however, was burnt in 1760 and was repaired in 1814. Unfortunately, for the second time, the church was burnt in 1835 and then rebuilt by the Franciscans. It was erected to honor the people who perished in the tragic collision of MV Dona Paz and MT Vector on 20 December 1987. Saint Peter and Paul Cathedral, in Calbayog City, established in 1910. Transport Terminals in Catbalogan City: Grand Tour Terminal is situated near St. Bartholomew Church and The Pieta and/or two blocks away from Jose Rizal Monument. Take note, their schedule varies; therefore, you need to ask them to ensure that you don’t miss your preferred scheduled trip. Near Grand Tours Terminal, there are UV Express and other van operators. Before my backpacking, I already booked online for an overnight stay at GV Hotel, just in front of the Jose Rizal Monument and a few blocks away to some van terminals. While roaming around Catbalogan City, I found Rolet Hotel, Summer’s Garden Pensionne, Traveler’s Home Lodge Inn, and many other cheap hotels. Buti nakaya mo ng 6 days. Kasi an lalayo ng pagitan ng mga probinsya.